Hide messages into pictures through Steganography | Kanishk's Technical Blog. Note: This tutorial is only for Educational Purposes. Hello Friends, Today I'll teach you a trick through which we'll be able to hide private messages inside any normal picture. This trick can be proven useful if you are trying to pass on a secret message to a friend and are afraid it would reach wrong hands. I've posted some two other advanced levels on Steganography on my blog till date and this is the very basic. It is easy to learn and do. A. Using Windows Command Prompt. B. Using Windows Batch File. Note: Make sure to keep the image and text file in the same directory. Go to Start ---> Run ---> Type out "cmd" and hit enter. 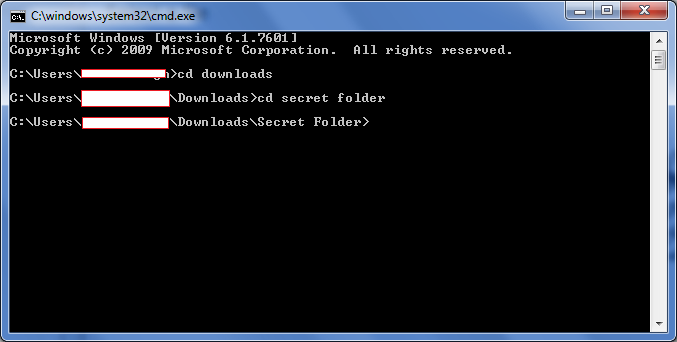 Navigate to the folder where your files are stored using “cd” command. 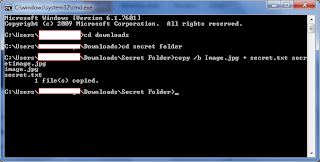 Now type the following code once you've opened the secret folder in Command Prompt. A. Output.jpg is the name of the file that will be created after you run this command. B. 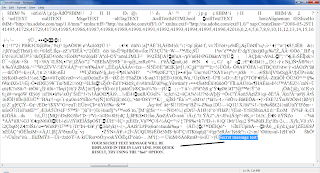 Make sure that Image file name comes first and then the text file name after copy /b. Doing the opposite will not work. Now, press enter and you’ll see an Output.jpg file that will get created in that same directory. 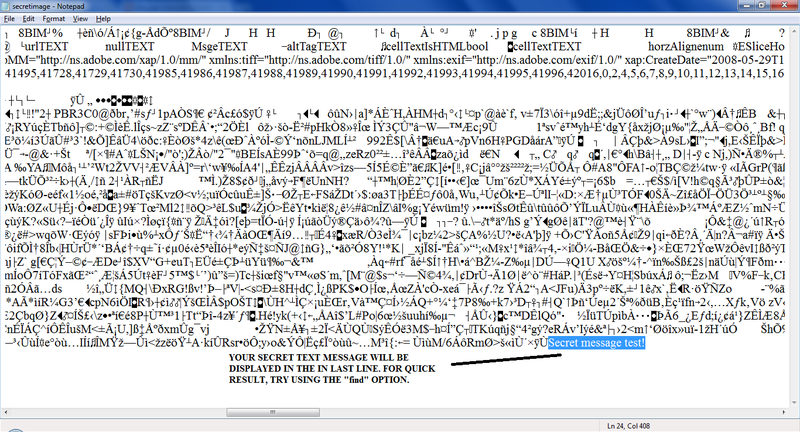 You can see your secret message in the last line. For fast results, try using the Find option in Notepad. This same trick can be done using an automated batch file too. Where, Image.jpg is the name of your image file and Text.txt is the name of your text file. Give a space between [Image.jpg + Text.txt] and [Output.jpg] Output.jpg is the name of the file that will be created after you run this batch file. Double click on the batch file to create Output.jpg. 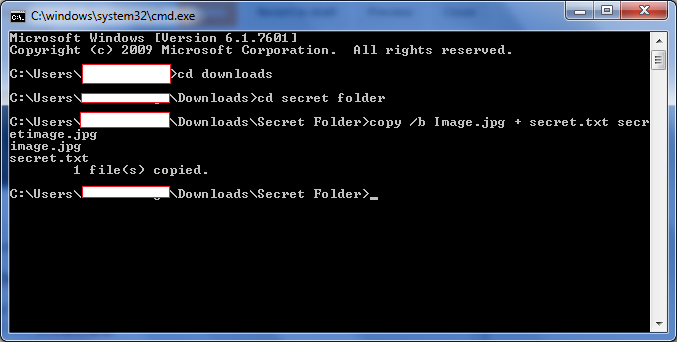 And, now you’ve also learnt to hide the text in image using the windows batch file. 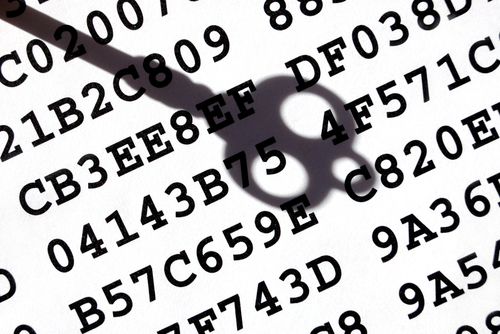 To reveal the secret message, the same method can be used to decrypt the message as in the above one.